Here it is, another rare opportunity to catch Nite-Time live and in person without having to get hitched or bar mitzed! Seriously though, we had a great time the last time we played the P&G and you’ve all been asking when you can see us play live and so… we hooked it up. We’ll be doing our usual thing, that is jammin’ out with everyone’s favorite party music from the ’60s to today. Come on down for some after work, pre-weekend happy juice and we’ll provide the tunes and as always at the P&G… no cover! 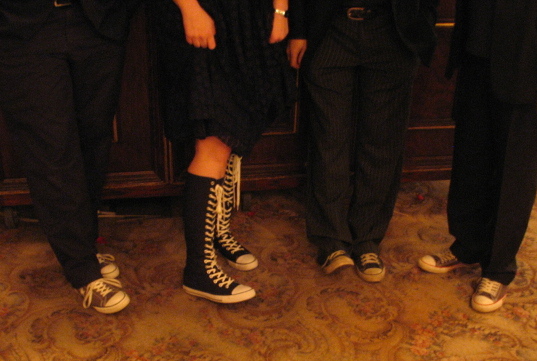 Nite-Time in Converse… that’s me in the middle!